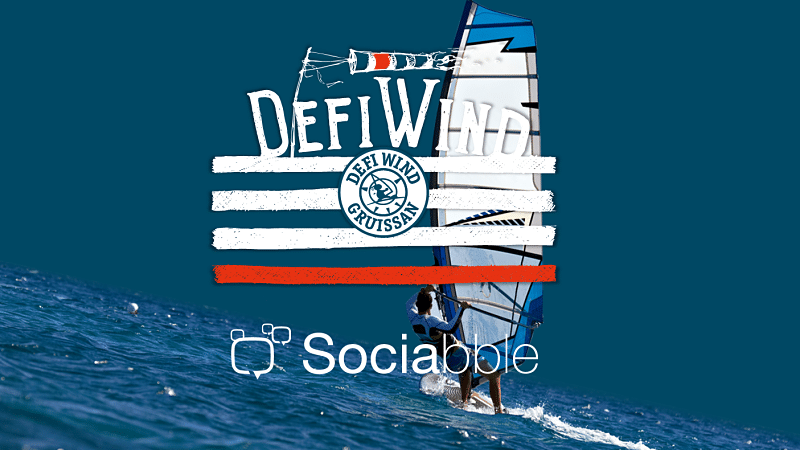 Défi Wind, the world’s largest windsurfing event, is teaming up with Sociabble, the leading provider of advocacy solutions, to drive fan engagement and ambassadorship with the Sociabble4Fans platform. Taking place from May 25 to 28, Défi Wind will bring over 1000 windsurfers to Gruissan, France. In addition to the physical event, Défi Wind will invite fans to join an exclusive community on Sociabble4Fans; a platform that allows them to access and share the latest event communication, including photos and videos, submit their own content and engage in polls and quizzes to earn points, badges, and prizes. 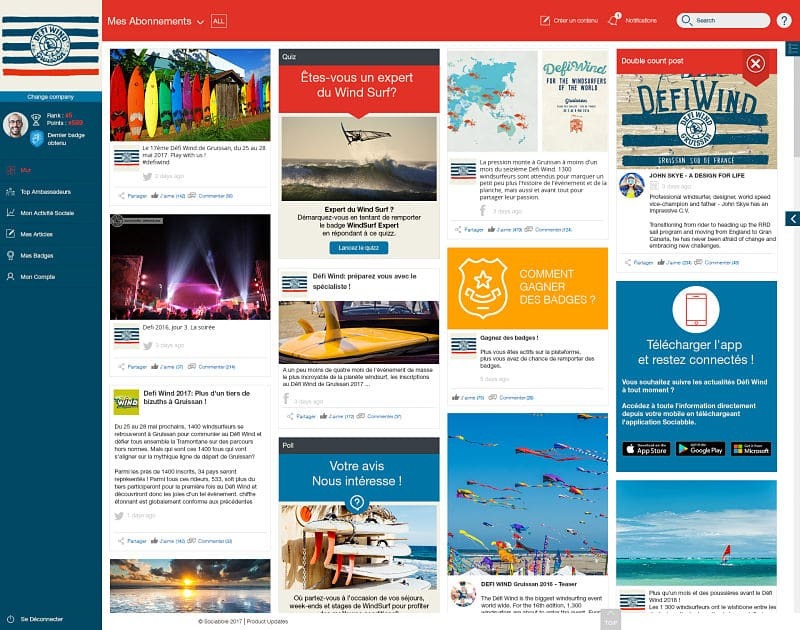 On Sociabble4Fans, members of the Défi Wind fan community will be able to submit their own photos, videos and insights throughout the event – most notably via the mobile application. 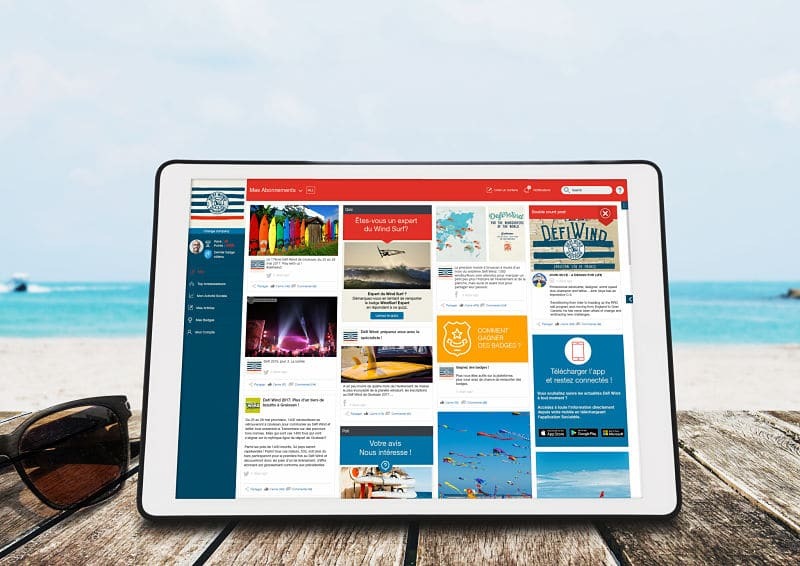 Once validated, user-generated content (UGC) will be available to share with all other users and will allow event organizers to tap into a wealth of posts that can be shared on official channels as the event plays out, and that can be promoted afterward as highlight material. Sociabble4Fans users win points for their activity on the platform. In Addition, campaigns, challenges, and calls-to-action (CTAs) are used to highlight specific content. Badges, which are attributed to specific actions and can consist of multiple levels, will be used to drive user engagement among the Défi Wind community and reward top fans for their activity on the platform. 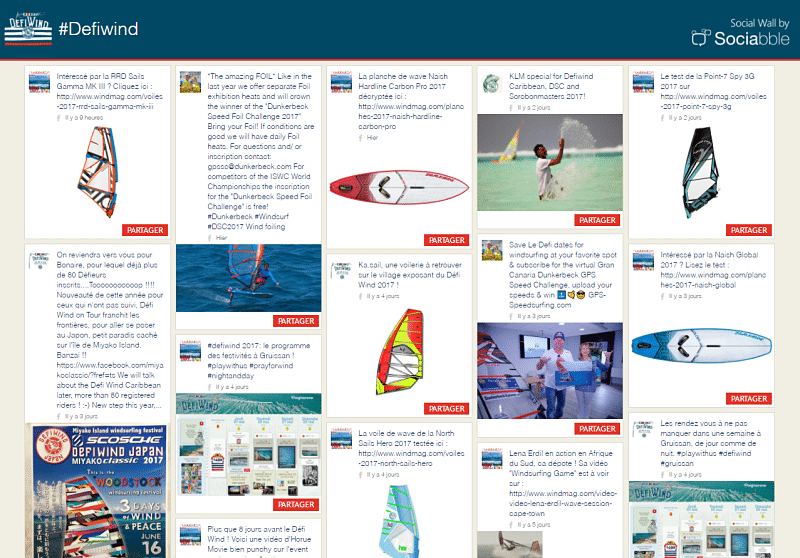 Défi Wind organizers will create and customize multiple-choice quizzes, in order to test and develop fans’ knowledge of windsurfing and the event itself, and link quizzes to badges and prizes. Meanwhile, they will use polls to obtain users’ feedback before, during and after the event. All driving affinity with Défi Wind by allowing fans to play a central role in idea generation. Sociabble4Fans will also be used to centralize content published by Défi Wind organizers, sponsors, partners and affiliated retailers. This then gives the fan community easy access to the latest event-related content. Sociabble4Fans will drive online visibility and engagement, through fans’ sharing (on personal platforms) and advocacy activity. Members of the Défi Wind community on Sociabble4Fans will also have a profile page containing their bio, latest activity, badge collection, points total, leaderboard position, and direct links to their social media accounts. Platform administrators will have access to a designated back office. Additionally, administrators can configure platform features, moderate user-generated content, and view in-depth analytics. These include user activity, trending posts, and the engagement generated by external content. Throughout the event, Sociabble will display their Social Wall. Using the event hashtag #defiwind will aggregate and display real-time content and conversations taking place on social media. Find out more about Sociabble4Fans. In engaging Défi Wind superfans in an exclusive, dynamic and collaborative environment, Sociabble4Fans strengthens the event’s core fan base, increases brand loyalty, and builds on the community spirit of this globally renowned event. It provides new ways for fans to engage directly with the event, through content creation and idea generation. The platform will also serve as a springboard for driving visibility and notoriety on social media. Interested in launching Sociabble4Fans for a community of brand fans? Get in touch!